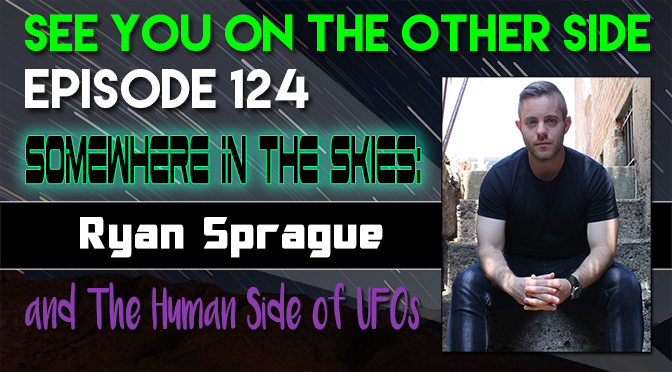 Coming of age in the 1990s in upstate New York, Ryan Sprague was exposed to the UFOs, alien abductions, and government conspiracy-mania that enchanted us all during the decade. He was listening to Green Day’s Dookie album outside on vacation on a Summer night in 1995 when he had his own UFO sighting for the first time (an experience that he shared with his father) and it inspired a lifelong obsession with watching the skies. Ryan later moved to New York City and started working in theater, all the while writing UFO journalism for Open Minds magazine and co-hosting the podcast, Into The Fray. His methodology for investigation is all about trying to understand the personal toll that UFO witnesses often have to face and his new book Somewhere In The Skies: A Human Approach To An Alien Phenomenon. We’re really excited about the play he’s working on about the Rendlesham UFO Incident in the UK that’s inspired by his research with one of our favorites from the Paradigm Symposium, Peter Robbins! To purchase Ryan Sprague’s book and learn more about him, definitely check out his website at http://www.somewhereintheskies.com and the profits of every purchase until the end of January goes to a great cause, the Women’s Refugee Commission. 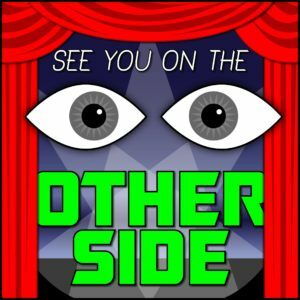 Ryan’s Blink-182 t-shirt during the interview and the Green Day playing during his first UFO encounter inspired us to bring out an old Sunspot chestnut for this last episode of the year. Here’s one of our most pop-punk tracks and one that deals with believing in yourself and sticking to your own story, “Intellectual Terrorists”. And have my conscience left for dead. And they’ll beat you down and call you names for sticking to your guns. Of all the people who won’t stand up for their views. No one likes the freak, no one likes the odd man out. Than live a life of doubt. I won’t close my mind for you. And sensitivity exorcists are poisoning my head. I won’t let you make me, overdose, or complicate me. You can’t break me down.